I hope you had a wonderful and relaxing Thanksgiving holiday with your family! I really wanted to do a Thanksgiving post this year, but with my trip to Japan the week prior to Thanksgiving, I was unable to get that done. If you haven't seen my Thanksgiving tablescape blog from last year, you can check it out here. This week's video shares my recent trip to Japan with you. 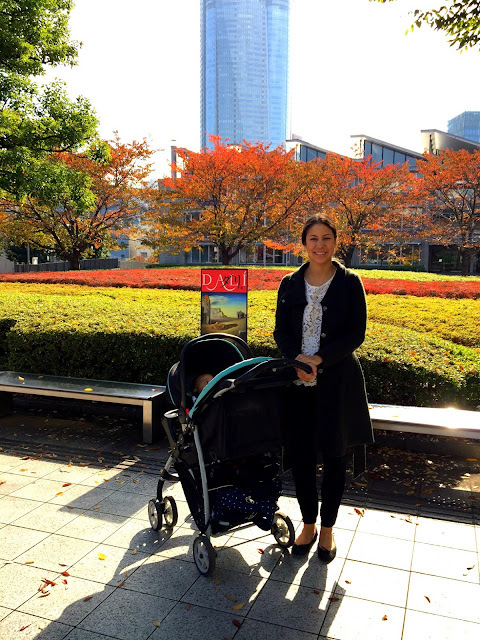 I traveled with the baby to Tokyo to shoot a television show. 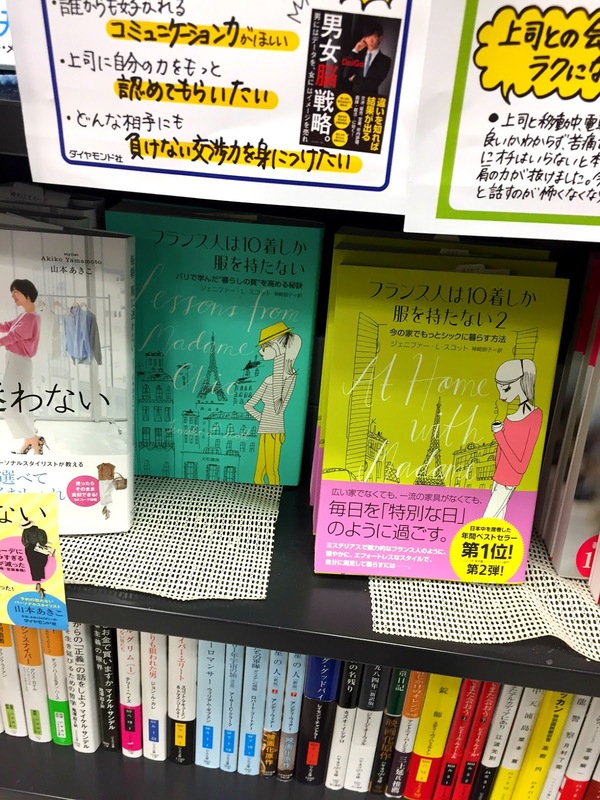 Thank you so much to the Japanese readers who have embraced my books so enthusiastically. I am so grateful to you and simply love visiting your country! Here I am with the director and crew for the on-location shoot. In this video you will see my makeup artist sessions, my hotel room, what I ate, where I shopped, local culture and sights as well as a few funny episodes involving a complicated washing machine and a Japanese face mask! The most exciting thing about the vlog, however, is that you get to meet my baby boy, who was such a delightful companion on this trip. My little man. Everyone who met him said he is so "Kawaii"! We are outside the National Art Center after visiting the Dali exhibit. Going over my lines in the greenroom before the big shoot! The Madame Chic books were featured at the front of the airport bookstore! Kate Tokyo brown shade eyes eyeshadow (I have shade BR3, but could not find that on Amazon, so here is the link to BR1, which is quite similar). I hope you enjoy this week's video, Japan Vlog 2016. Japanese viewers: The television show I am appearing on is Nippon Television's The Most Useful School in the World, airing Saturday, December 3rd. I do hope you check it out and please let me know how you like it! As for tights, I always put them with my damp hands and with my palm in contact with my tights and not with my legs. It's a bit strange but doing so I avoid ruining them from the very first time. When buying thin and expensive tights, I often choose the superior size. And before washing, I put them in a special bag. Hi Anon, those are great tips, thank you! I also wash my stockings in a mesh laundry bag to prevent tears. And many times, my nails, jewelry or heels have caught on the tights causing a snag. I like how you deal with those issues. One of the things in which I delight about my own ten item wardrobe is ease of packing! When I was young, my mother always told me, "Packing is simple as long as your clothes are clean." and yet I found myself frequently dithering over what I might like to wear followed by later regret that I had not chosen something else. I've amended her advice to, "Packing is simple provided your clothes have been chosen with care and they are currently clean." The last 5 week long trips I have taken I've simply moved my ten items from my closet, to the smaller of my two suitcases (including the hangers), added underpinnings, a bathing suit, my travel toiletries, and called it an enjoyable 15 minutes. I've found that I am always overpacked but never feel as if I'm lacking in any area. On the subject of pantyhose, when I was in college my sister and I used to tell each other, "Never wear a skirt without hose!" And we would thoroughly enjoy how fantastic our legs looked. As I've gained responsibility and a desire to skip that step while getting dressed we have modified the statement to, "Your legs will look better in hose." Less totalitarian and more motivational! My favorite brand of hose is, Leggs: Sheer Energy; Medium Support, Control Top. They are about 4.50 a pair and I can wear one pair of them between 7 and 14 times (sometimes more!) Before they tear or run. Hi Kathleen, thank you for your great comment! I also love the ease of packing with the ten-item wardrobe. In fact, I recommend that people who have a hard time doing a ten-item wardrobe, pack one for a long vacation. They will see the benefits on their trip, like the ease of dressing and the ability to look presentable and stylish. Thank you, also, for sharing your pantyhose recommendation. I have found that Amazon sell the Leggs control top tights you recommend in a 4-pack for just over $16, which is definitely more affordable than most pantyhose I have seen on the market. I hope you enjoy this week's video! Please let me know what your favorite parts of the vlog were. What do you love about Japan? Let me know in the comment section below, and your comment could be chosen as comment of the week on the blog. FTC: This is not a sponsored post. All opinions are my own. Links may be affiliate links. Happy Thanksgiving week to you! I have safely returned from Japan. Thank you for all of your social media messages to me. What a trip! The baby and I had a great time. Today's video shows my packing process before my trip. I was very happy with how I packed for Japan. With the exception of a black tee shirt, I used everything I brought. My only mistake was packing too many diapers! Packing for this trip was tricky, because not only was I working, which required a specific wardrobe in and of itself, but I also had to fit all of the baby's items in the same suitcase. I made it work however, and am pleased with how it went! In this week's video, I also share my ten-item wardrobe updates with you. I finally caved and purchased three nursing dresses to replace the dresses in my ten-item wardrobe that I was unable to nurse in. I am so glad I did this. And with traveling and working with a baby, proper nursing clothes were a life-saver! The new additions to the wardrobe are the black collar dress, long sleeve black dress and navy and red wrap dress, all from Seraphine. These three dresses will literally replace the long sleeve blue Boden dress, sleeveless Loft dress and black ballet dress that I am unable to nurse in, still keeping me in at under ten items. These are the hosiery items I mention in the video, for those who are interested. They performed really well, with no runs and also withstood the washing machine! I also brought my mini travel steamer with me, which was handy for smoothing my clothes out for the television shoot. Thanks for sharing! We are on an extremely tight grocery budget for the three of us (myself, my husband, and our six year old son), but Costco allows us to eat well and include lots of organics! I shop there once a month, at the beginning of the month, and then every week I stop by an Aldi - some weeks I'm even able to skip that stop. We first eat the produce that goes bad the quickest, and things like apples will last a couple of weeks before going bad. We live 45 minutes away from the nearest decent grocery store so I make my trips into town count! Hi TaylorCait, Thank you for sharing your shopping routine with us. I agree that a mixture of Costo, plus smaller markets, works really well for families with small children. It's great that you are so organized about your trips into town! At this point in our lives, we definitely love Costco as well! I have access to some great markets and a huge garden, so I go to the grocery store every other week, and just do produce from the garden, freezer, or market in between. However, I have definitely struggled mentally with the whole bulk food concept, so it's very nice to hear your thoughts and opinion! Hi Angi, there is a season for everything! It's nice to connect with other readers over how we shop for our families. Thank you for sharing with us. I hope you enjoy this week's video and that all of our American readers have a beautiful Thanksgiving holiday with their families. I am really looking forward to relaxing and eating a big feast after my trip! See you next week for the Japan vlog! I'm off to Japan right now with the baby, so please pray for our safe arrival! Today's post will be short, but I do have a great video for you that shares what is in our fridge and a quick meal plan. I shot this video back in September, but am just now able to post it. It shows how my grocery shopping has evolved with our growing family. In the video, you'll see our fridge after a trip to Costco. Shopping at Costco saves us money and enables me to only go shopping once every few weeks, yet still provides fresh food for our family. In between shopping trips, I supplement with fruit and vegetables from our local grocery store. With a new baby in the house, this is the best way for us to grocery shop right now. I hope you enjoy this week's video! Great post! I am always looking for ways to incorporate more movement (I avoid the word "exercise") into my life. I've learned a lot by reading Katy Bowman's books and blog on this topic. 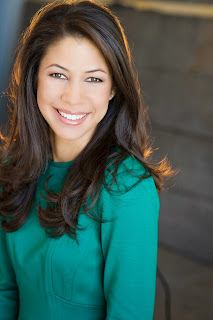 She's a biomechanist who talks a lot about natural movement and how it's missing from our sedentary lifestyle. Recently I began biking to the WalMart down the street. I love it! I get a few groceries at a time and get to hang out with my teenage son. It energizes me, and I wear my same stylish clothes. And since it's fall, I don't get sweaty. I don't even own "exercise" clothes because I find them ugly and immodest. I hate the "mom uniform" I see around me - sweatpants or yoga pants that are stretched out and thinning in the wrong places, ponytail, sports bras - so not chic! Hi Carrie, Thank you for the recommendation for Katy Bowman's books. I see she has a new one coming out called, Movement Matters, which is exactly what I discussed on my video on exercise. I think it's great that you ride bikes with your son. You can't go wrong mixing quality time with exercise! I hope you all have a wonderful week. I would love to know... what's in your fridge? How do you meal plan? Do you shop in bulk for your family? What do you love to buy from Costco? Let me know in the comment section below, and your comment could be chosen as comment of the week on the blog. Our French Weight Loss Secrets mini-series concludes this week as we discuss chapter 3 of Lessons from Madame Chic, Exercise is a Part of Life, Not a Chore. When I lived in Paris I exercised every day, not by going to a gym or doing a workout regime, but by living a vibrant, active life. Aim to live a more active life every single day. What can you do to incorporate exercise into your life? Commit to walking every day. Walk the dog. Go on a walk with your family or friends. Don't let life's conveniences keep you stagnant. Madame Bohemienne didn't have an elevator in her building and she lived several floors up. Challenge yourself to do things the old-fashioned way as much as you can. You can still look presentable always while being active. Exercise clothes are not necessary. Remember that wearing activewear all day long is a recent thing. I hope you'll check out today's video to see the conclusion of the series. I will be traveling to Japan next week with the baby to shoot a television show in Tokyo. I am so excited to visit Japan again! I will definitely vlog my trip as I did last time. 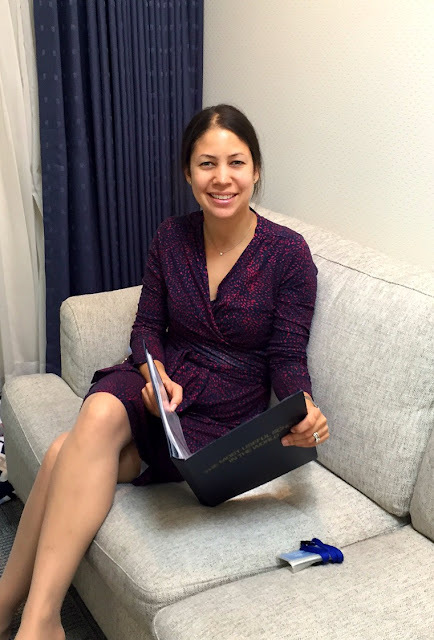 Hello Amanda, I loved hearing about your experience living on the Swiss border. You are so fortunate to live in the land of high quality cheese and chocolate! :) Thank you for sharing your insight with us. Did you enjoy this series? What are your thoughts? Are there more questions you have? Let me know, and I may address them in a future video. See you on Monday for a What's In My Fridge? video. Then we are off on our journey to Tokyo! French Weight Loss Secrets Part 2- No Deprivation! Our mini-series on French weight loss secrets continues today, with my second lesson from Madame Chic: deprive yourself not. It was a strange paradox: when I lived in Paris we ate such decadent food all the time, yet no one I knew was overweight. How was that possible? Here are just some of my observations. Did not deprive themselves of decadent food. Had a healthy attitude toward the food they were eating. Were eating meals in a very civilized and conscience way. And the portion sizes are not too large. I hope you check out today's video to learn more about how not depriving yourself of the food you love can help aide in your weight loss or in maintaining a healthy weight! Emma B writes: What a wonderful video. I had a real lightbulb moment when I first read 'Lessons from Madame Chic'. Reading your book really helped me take control of my eating and in particular, my snacking and 3 years on it's still helping me maintain a healthy approach to food, so thank you. Hi Emma, I'm so happy that Lessons from Madame Chic encouraged you to take a healthy approach to eating. Wonderful! Jude T writes: I can't remember where I read it but the French 'pay attention' to the food they eat which is what you are also alluding to, if you eat something, to be aware of it. Hi Jude, I love that. We are being rude to our food if we don’t pay attention to it! Today, I would love to know... what are your experiences with food and deprivation? Do you have a healthy attitude toward eating? Are there any changes you'd like to make? Let me know and your comment could be chosen as comment of the week! I recently received a request from a reader who wanted me to discuss French weight loss secrets. This week will be dedicated to the subject, with a post on Monday, Wednesday and Friday! 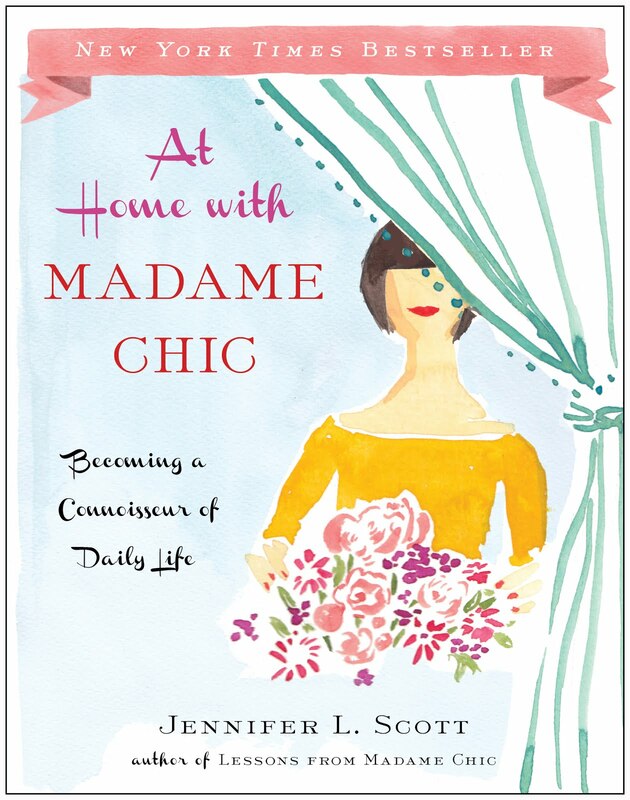 My discussions will be based on Part 1 of Lessons from Madame Chic, which focuses on diet and exercise. I have discussed these concepts before, but felt they need to be revisited, not only on the blog, but personally for myself as I am in the process of losing weight after having my third child. Today's topic is no (mindless) snacking, or snacking is so not chic! As a lifelong chronic snacker, I found it very shocking to live in a household that did not snack. This was the case when I moved to Paris to live with Madame Chic and her family. Now, I have no idea if all French people are like this. I'm sure the answer is, non. But as I always say when I write about my stay with Famille Chic, I am just sharing my singular experience with a particular French family, and how it changed my life. And Famille Chic did not snack. For many of us, however, not snacking is not an option. We get hungry. The day is long. Some of us have a medical condition that requires us to eat several times throughout the day. I do have a snack each day, however, I aim to avoid mindless snacking. What are some examples of mindless snacking? Eating out of a bag of potato chips while leaning over the kitchen sink. Having a carton of ice cream while watching television. Snacking on old Halloween candy the entire time you cook dinner (I have to admit, I did this last week!!). In this week's video, I urge you to get intentional about what you eat. If you are going to have a snack, prepare it nicely, as you would a meal. Avoid eating out of bags or cartons. Avoid doing other things while you eat. This will allow you to be more conscious when you are eating, and you are less likely to overdo it. There is much more discussed in this week's video. I do hope you'll check it out! The Madame Chic Collection is now available! It makes the perfect gift for this upcoming holiday season. Above, you can see Simon & Schuster's Instagram post on the collection. Thank you for sharing your story with us, Amirah! The changes that come with cultivating poise can make everyday life so exciting. I'm very happy for you! This week I would love to know... do you struggle with snacking? Are you happy with your weight? Do you have a weight loss goal? What's your story? Let us know, and your comment could be chosen as comment of the week on the blog. *** As you might have noticed, I am rarely able to respond to each individual comment. This also includes the emails I receive through my author website. I want to reassure you that I read every comment and email, and that I truly do appreciate every one. In this season of my life, baby snuggles are taking priority over everything! Thank you in advance for your understanding. See you on Wednesday for part two of the series! In this October edition of Daily Connoisseur favorites, I share what I'm watching, what I'm reading, a favorite moisturizer and makeup item. I also give you an update on postnatal hair loss. I hope you can join me for this fun, chatty favorites video. Becca Ombre Rouge palette You saw an in-depth review of this in last week's video, but it resurfaces again here as one of my favorites. I'm having a lot of fun playing with these natural shades, perfect for le no makeup look. Origins GinZing moisturizer I have been using this moisturizer for over two months, and I love its light, refreshing quality. Its secret ingredient is coffee! Origins boasts that it boosts tired skin (which I definitely need right now!). My favorite thing about this moisturizer is its delightful citrus scent. 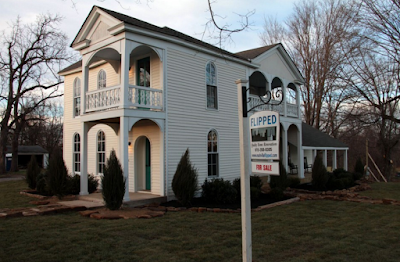 Nashville Flipped is a home and garden show that follows house flipper, Troy Dean Shafer, as he restores historic homes. I love his lead designer, Julie Couch's, design aesthetic. You can gain so much interior design inspiration this program. Such a fun show! The Madame Chic Collection box set is now available! This set is so beautifully packaged, it makes a perfect gift. Just in time for the holidays! Cedar and Bloom shares her cold weather ten-item wardrobe in her recent blogpost. I have really enjoyed your books and videos. Your advice and call for a return to deportment are quite timely in this day and age. I live in Seattle which is a very casual area, to excess even. One day when heading in to work, a woman rushed past me with her purse, jacket, flip flops, and ScubyDo pajamas. No, these were not scrubs. I work in the medical field and some staff wear theme scrubs for the patients. That was the moment for me when I knew it was time to go counter culture and ensure that I dressed decently daily. The idea that looking presentable and behaving politely as counter culture is also rather shocking. The question of how in just one generation did we go from an aspiration to be our personal best to being our personal worst is really interesting. I am happy to say my employer has instituted a dress code. I love our dress code because it is very helpful in guiding my wardrobe purchases. Getting dressed for work also helps me transition mentally from home to work, and this hidden benefit may be one of the reasons our grandparents generation was so successful; the effort of getting dressed daily set the tone for their entire day and reinforced the work ethic. Best of luck to you and thank you again for sharing your experience and skills with society. Dear Sigrid, I loved receiving your letter. It's funny that the casual nature of your city has made you dress in the opposite direction. Counter culture, indeed! This week, I would love to know... what are your favorites? What are you reading and watching? What products are you loving right now? Let us know in the comment section below, and your comment could be chosen as comment of the week. Lastly, thank you to all of you for your wonderful support regarding the release of The Madame Chic Collection. See you on next week for a fun mini-series on French Weight Loss Secrets! FTC: This is not a sponsored post. Opinions are always my own. The Contigo water bottle was sent to me to review. This post may contain affiliate links. The wait is finally over. 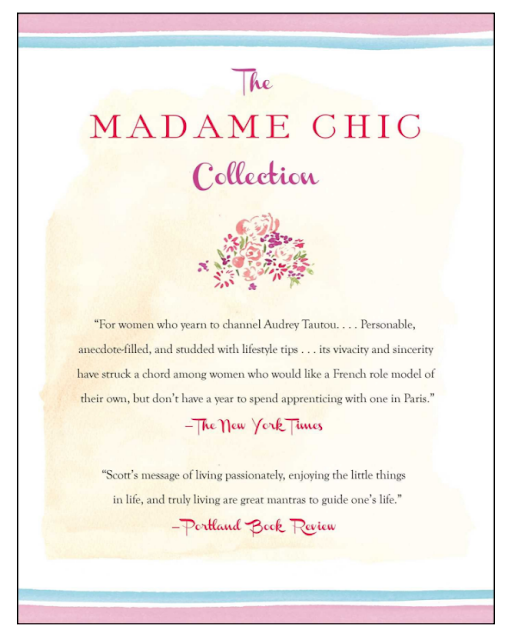 The Madame Chic Collection box set is now available from Simon & Schuster. The box is designed with this beautiful image inspired by Audrey Hepburn, from the wonderful Virginia Johnson. The box set contains all three Madame Chic books, Lessons from Madame Chic, At Home With Madame Chic and Polish Your Poise with Madame Chic. If you've always wanted to read the Madame Chic books, but haven't yet, this set is a perfect opportunity to get all three. With the holiday season coming up, this box set also makes a perfect gift. The Madame Chic collection is available from Amazon, Barnes & Noble, Indie Bound & Books-a-Million. “For women who yearn to channel Audrey Tautou…but don’t have a year to spend apprenticing with one in Paris” (The New York Times), Jennifer L. Scott’s Madame Chic books—Lessons from Madame Chic, At Home with Madame Chic, and Polish Your Poise with Madame Chic—now collected in one beautiful package. As an American student living abroad, Jennifer L. Scott found a Parisian mentor in her host mother, Madame Chic, who instructed her in the fine art of living. 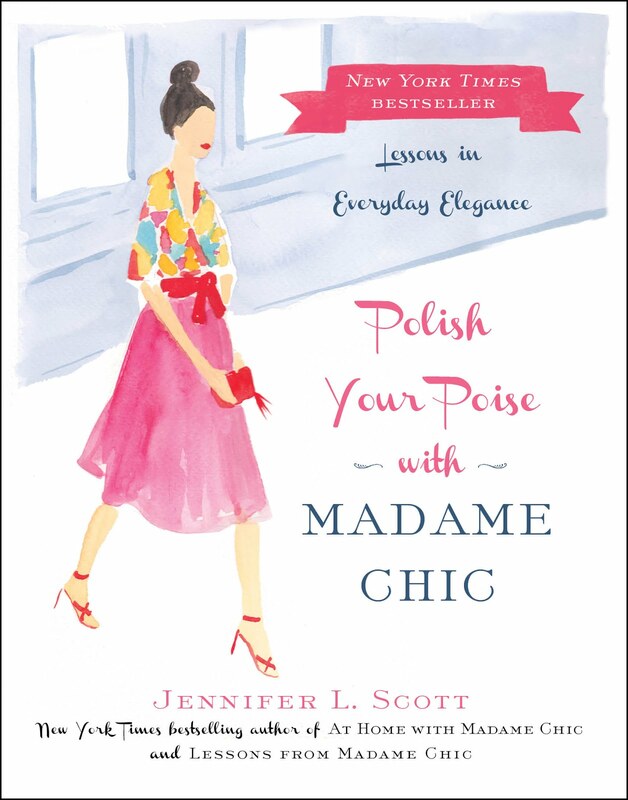 Now, Jennifer shares her lessons in her Madame Chic series: Lessons from Madame Chic, At Home with Madame Chic, and Polish Your Poise with Madame Chic. 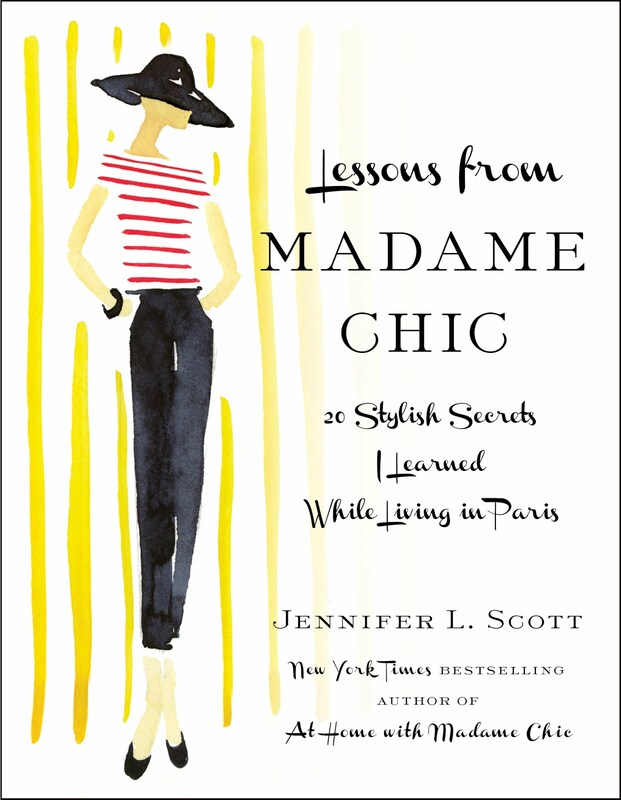 Based on what she learned from Madame Chic, Jennifer explains how to cultivate old-fashioned sophistication while living an active, modern life, teaching us to take pleasure in everyday routines, to dress presentably, perform household tasks with cheer, and how to conduct oneself both in public and in private. The Madame Chic series encourages and inspires you to live simply and passionately, no matter your age, background, or location. Like Madame Chic, everyone deserves a little Parisian je ne sais quoi. I hope you'll check out today's video to see this beautiful set. Thank you so much to all of you who have championed the Madame Chic books. I am so grateful for your support!